Silver Gemmed 0 7mm Fits all Floating Lockets (Alloy, Stainless Steel and Vintage). Silver Gemmed 1 7mm Fits all Floating Lockets (Alloy, Stainless Steel and Vintage). Silver Gemmed 2 7mm Fits all Floating Lockets (Alloy, Stainless Steel and Vintage). Silver Gemmed 3 7mm Fits all Floating Lockets (Alloy, Stainless Steel and Vintage). Silver Gemmed 4 7mm Fits all Floating Lockets (Alloy, Stainless Steel and Vintage). Silver Gemmed 5 7mm Fits all Floating Lockets (Alloy, Stainless Steel and Vintage). Silver Gemmed 6 7mm Fits in all Floating Locket (Alloy, Stainless Steel and Vintage). Silver Gemmed 7 7mm Fits all Floating Lockets (Alloy, Stainless Steel and Vintage). Silver Gemmed 8 7mm Fits all Floating Lockets (Alloy, Stainless Steel and Vintage). Silver Gemmed 9 7mm Fits all Floating Lockets (Alloy, Stainless Steel and Vintage). Silver Gemmed D 7mm Fits all Floating Lockets (Alloy, Stainless Steel and Vintage). Silver Gemmed E 7mm Fits all Lockets (Alloy, Stainless Steel and Vintage). 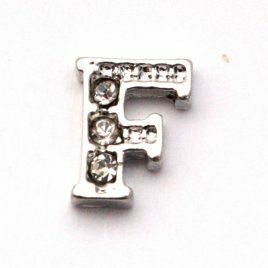 Silver Gemmed F 7mm Fits all Floating Lockets (Alloy, Stainless Steel and Vintage). Silver Gemmed G 7mm Fits all Floating Lockets (Alloy, Stainless Steel and Alloy). Silver Gemmed H 7mm Fits all Floating Lockets (Alloy, Stainless Steel and Alloy). Silver Gemmed I 7mm Fits all Floating Lockets (Alloy, Stainless Steel and Alloy). Silver Gemmed J 7mm Fits all Floating Lockets (Alloy, Stainless Steel and Alloy). Silver Gemmed K 7mm Fits all Floating Lockets (Alloy, Stainless Steel and Alloy). Silver Gemmed L 7mm Fits all Floating Lockets (Alloy, Stainless Steel and Alloy). Silver Gemmed M 7mm Fits all Floating Lockets (Alloy, Stainless Steel and Alloy). Silver Gemmed N 7mm Fits all Floating Lockets (Alloy, Stainless Steel and Alloy). Silver Gemmed O 7mm Fits all Floating Lockets (Alloy, Stainless Steel and Alloy). Silver Gemmed P 7mm Fits all Floating Lockets (Alloy, Stainless Steel and Alloy). Silver Gemmed Q 7mm Fits all Floating Lockets (Alloy, Stainless Steel and Alloy). Silver Gemmed R 7mm Fits all Floating Lockets (Alloy, Stainless Steel and Alloy). Silver Gemmed S 7mm Fits all Floating Lockets (Alloy, Stainless Steel and Alloy). Silver Gemmed T 7mm Fits all Floating Lockets (Alloy, Stainless Steel and Alloy). 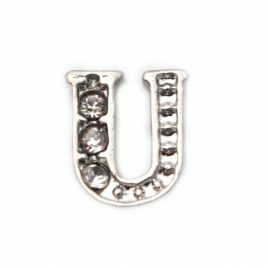 Silver Gemmed U 7mm Fits all Floating Lockets (Alloy, Stainless Steel and Vintage). Silver Gemmed V 7mm Fits all Floating Lockets (Alloy, Stainless Steel and Vintage). Silver Gemmed W 7mm Fits all Floating Lockets (Alloy, Stainless Steel and Vintage). Silver Gemmed X 7mm Fits all Floating Lockets (Alloy, Stainless Steel and Vintage). Silver Gemmed Y 7mm Fits all Floating Lockets (Alloy, Stainless Steel and Vintage). Silver Gemmed Z 7mm Fits all Floating Lockets (Alloy, Stainless Steel and Vintage).